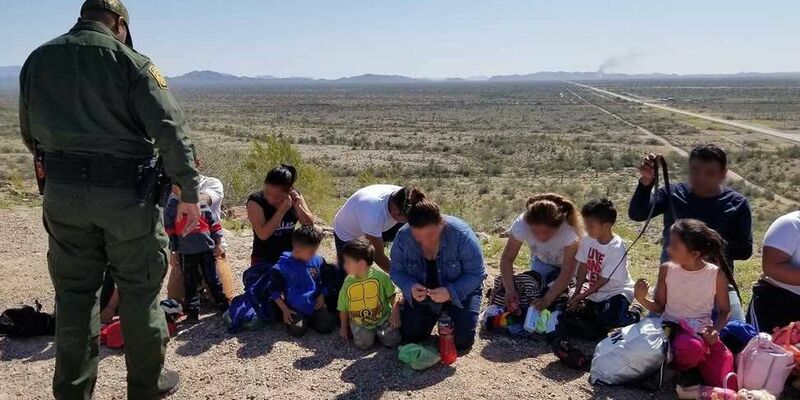 TUCSON, AZ (KOLD News 13) - Agents assigned to the Ajo Station encountered several large groups totaling nearly 400 persons and Central American families after they illegally entered the country west of Lukeville over the weekend. The first group, totaling 216 illegal aliens, was encountered early Saturday morning, after they illegally entered the country. Agents operating mobile surveillance technology spotted the group spread out along a desolate road that parallels the international boundary fence.